Similar to numerous international grape varieties which are celebrated on a specific day in the wine world, an initiative has been launched in Serbia to celebrate 14th October as the International Prokupac Day. 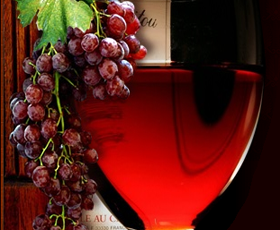 Prokupac, the flagship local variety of Serbia, thus became the first grape variety from the region of Central/Eastern Europe which got its international day for celebration. The initiative was well- received, so apart from wineries that produce Prokupac wine, numerous restaurants, wine shops and wine bars, local wine media as well as bloggers and wine experts from Hungary, Croatia, the Netherlands and Great Britain also joined the celebration… As a result, we got an opportunity to put a spotlight not only on Prokupac but also on Serbia in general, its wine regions and wines originating from this corner of Europe. Prokupac Day is celebrated on all social networks (the official hashtag: #ProkupacDay #Prokupac), but not only there. Wineries that produce wine from Prokupac have prepared educational workshops and promotions that will take place on 14th October 2016 at several locations. Popular restaurants and wine shops in Belgrade, Novi Sad, Kragujevac, Zrenjanin created for this occasion special menus with dishes paired with Prokupac wines, whilst customers will get special discounts and promotional prices in wine shops and wine bars. Serbian Sommelier Association (SERSA) and Vojvodina Sommelier Association (VOSOM) have supported this event as well. 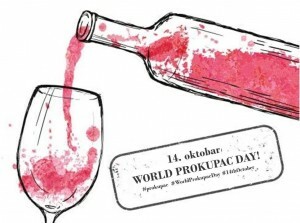 Prokupac Day will be celebrated wherever we drink Prokupac wine, not only locally, but also beyond the borders of Serbia. The goal of this event is to highlight the importance of indigenous varieties of Serbia, to support the efforts of local wineries in preserving Serbia’s wine identity and to enhance customer awareness about wines from Serbia. Prokupac Day will also increase recognition of Serbia as a wine country on the international level. Ministry of Agriculture and Environmental Protection has recognized the efforts aimed at strengthening of Serbian wine sector and therefore provided support for Prokupac Day on 14.10.2016.